Inherited from my late grandmother who collected French and English antiques. This was purchased after 1920 in Cape Town South Africa from an antique dealer. Thank you for contacting Mearto with your appraisal inquiry. I excuse for my late replay and ask for apologies. So that I may best assist you, can you please upload a few better images from the connection of the legs to the plate and the bottom side of this piece. The technical details of the construction is very important for the dating of your interesting table. Thank you for the additional images and your patience. 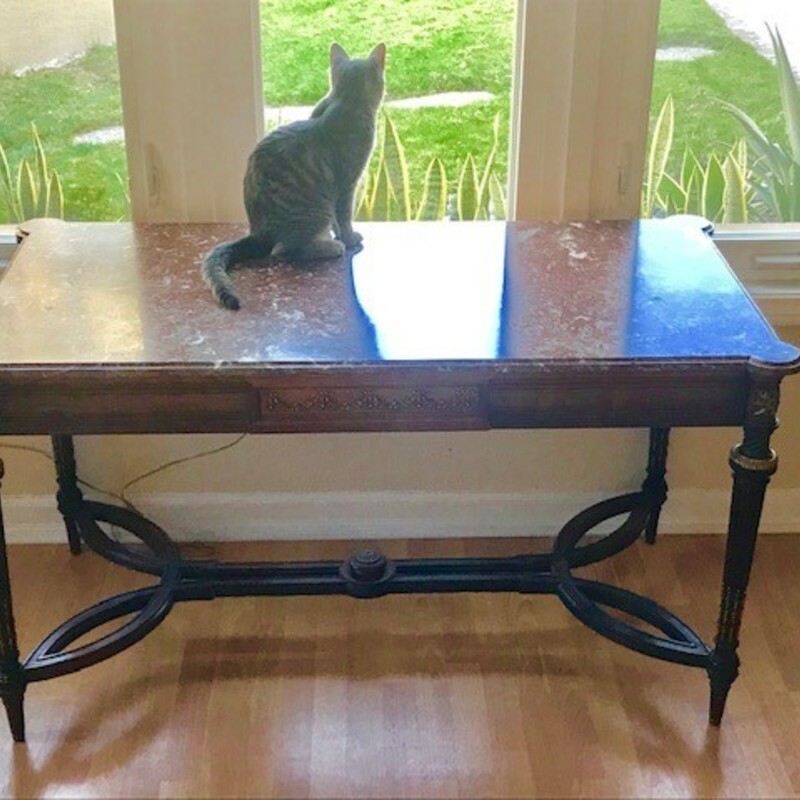 The apprised object is a period furniture table with the measurements of 26" x 52" x 30". This piece was made probably in France in the second half of the 19th century. The used wood is mainly walnut wood and the table plate was made out of red marble. The arguments why this is a piece of period furniture are the following: The surface is too plain and smooth. There is no lacquer and there are no traces of use during the centuries.